Get ready to enjoy a stunning spectacle, processing from the Place Crèvecœur to the Place d’Armes! 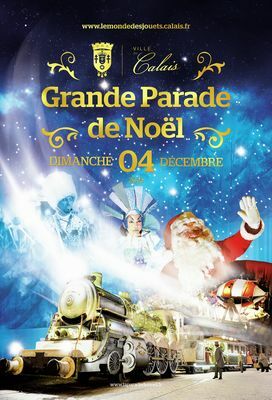 Drawn by the Christmas Train, the procession of floats will travel through the Boulevard Lafayette and the Boulevard Jacquard on its way to the Town Hall, and then along the Rue Royale before reaching its destination at the Place d'Armes. Dancers, acrobats, elves, snowmen and animated toys will be performing along the route... Every year the Christmas Parade draws tens of thousands of spectators to the scene of the procession. Be sure not to miss it!